Goodreads, you need to add a special rating section, where a reviewer can add as many stars as they want to for special books. 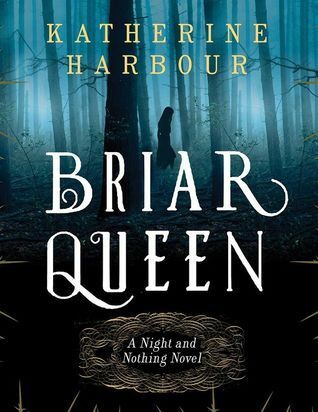 Because Briar Queen, and Katherine Harbour, deserves more than just five stars. What an absolutely beautiful, heart-wrenching, emotional story we are told, through the eyes of some of the most richly imagined, poignant characters that I have ever read. I cannot wait to sit down and try to put words to what I feel for this story, and the first book in the series, Thorn Jack. Utterly amazing. Wow! Now, when they heck do we get book 3?! Thorn Jack, and now Briar Queen, have easily become two of my favorite...EVER... books. Katherine Harbour has killer skills when it comes to writing. I fell in love from the first page, and when I finished the last I was brokenhearted. The characters are some of the best that I have come across. The world in this story, The Ghostlands especially, are so well written, the descriptions beautiful and haunting. And finally, the relationships in the story, be they romantic or friendship, were perfection, even when they were anything but. Thorn Jack and Briar Queen stand out among the standouts for me, and I absolutely cannot wait to see what this brilliant author has in store for us next! I would recommend this series to anyone. Especially if you like dark and maybe creepy! Thank you to Edelweiss for allowing me access to this story for review!